September cannot make a season in college football. The opening month sure can break it, though, and that’s an emerging possibility for several respected teams. Whether it’s been a product of an underwhelming star, a unit not matching expectations or something else, the first two full weeks of the campaign have brought little other than frustration. And with conference play quickly approaching, these players and programs must start their much-needed turnaround before the season is officially lost. By now, you’ve probably heard the story too many times. 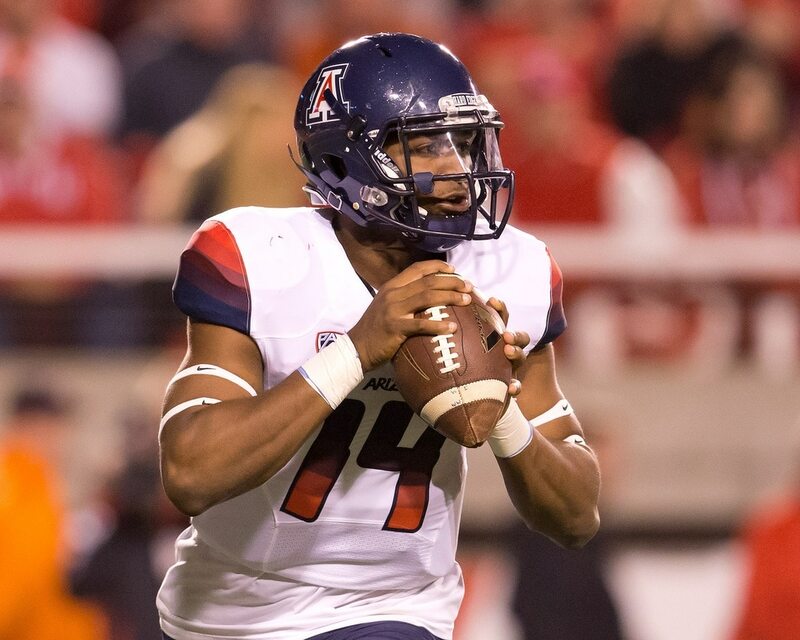 Khalil Tate started 2017 as a backup, entered Arizona’s fifth contest as an injury replacement then became a national sensation with 1,207 rushing yards over a six-game stretch. However, since the Wildcats beat Oregon State in early November, they’ve dropped five straight outings — including two this year to BYU and Houston. Tate has mustered just 22 rushing yards with a long of only 10. He was always going to be a work in progress as a passer, but Tate’s complete lack of running production is jarring. 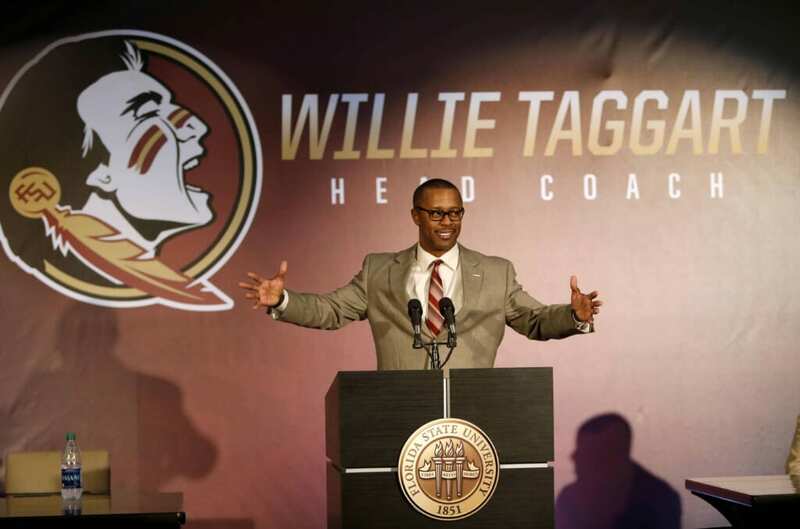 Willie Taggart laid the foundation for both Western Kentucky and South Florida to become scoring powerhouses. After one year at Oregon where the offense thrived with a healthy Justin Herbert, Taggart brought his up-tempo attack to Florida State. So, it seemed the Seminoles were destined for an explosive season. Well, not so much. FSU has committed six turnovers while losing to Virginia Tech 24-3 and needing a fourth-quarter comeback to edge Samford. The ‘Noles have time before the schedule gets tougher, but any encouraging progress would be welcomed. Where’s the secondary, Michigan State? Last season, Michigan State boasted the No. 7 defense in the country. Additionally, the unit allowed just 6.2 yards per pass and a 56.6 completion percentage. Basically the entire secondary returned, so expectations were understandably high. Instead, through two weeks, the Spartans have surrendered 7.6 per attempt, a 64.1 completion mark and 349.5 yards per game. Michigan State has been terrific against the run, but a sieve of a secondary will be problematic in the Big Ten chase. This better change for the Spartans to compete with Ohio State. Brandon Wimbush played a decent game when Notre Dame beat Michigan with 229 total yards, one touchdown and one interception. However, the junior had a forgettable outing against Ball State. He tossed three picks in a narrow 24-16 win, and four sacks pushed the dual-threat to minus-seven rushing yards. Wimbush, who edged Ian Book during the offseason competition, has the support of the coaching staff entering Week 3. But if Vanderbilt’s defense stymies Wimbush as it did Middle Tennessee and Nevada, his place as the starter will no longer be secure. 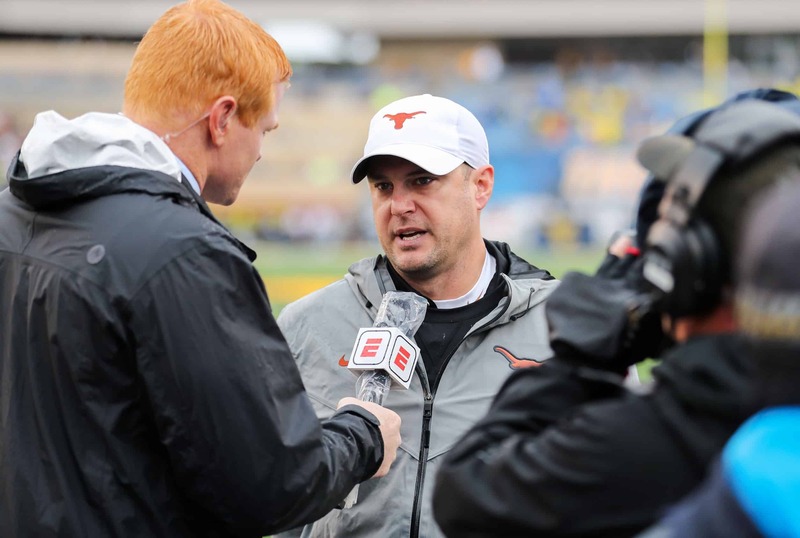 When the Longhorns fell to Maryland in 2017, it was a problematic loss that could be explained away. Texas had a long road toward relevance anyway. The 2018 upset, however, reflects poorly on the second-year coach. The Longhorns coughed up a fourth-quarter lead and committed three turnovers during the final seven minutes of the frame. Then, they narrowly held off Tulsa for a 28-21 nail-biting win. Entering a four-game stretch with USC, TCU, Kansas State and Oklahoma, 2-4 appears a distinct possibility for Herman and Texas. If that happens, hello, hot seat. Miami rattled off 10 wins in 2017 as Malik Rosier wavered between great and dreadful. However, he was a mess down the stretch and started the same way in 2018. Rosier went 15-of-35 and tossed two interceptions against LSU, and the box score would’ve looked worse had Jeff Thomas not made two sensational catches. Fans have begged for N’Kosi Perry to replace Rosier, but either Mark Richt is horribly stubborn or Perry hasn’t developed as hoped. Until the ‘Canes settle that dilemma, they’re a Coastal Division contender and nothing more. Chip Kelly inherited a rebuild; it was extremely unlikely UCLA would put together an immediate turnaround. But, wow, this is terrible. Michigan transfer Wilton Speight left the season opener with a back injury, and the Bruins lost to Cincinnati 26-17. They followed that up with a 49-21 shortcoming at Oklahoma, which scored 42 straight at one point. UCLA’s 19.0 points per game and 4.8 yards per snap both rank 111th in the country. Kelly will probably get the Bruins back to Pac-12 contention, but you can forget about anything happening in 2018. Thanks to its defense, Washington has College Football Playoff potential. But while Jake Browning guided the 2016 team to the CFP with 47 total touchdowns, it appears the 2018 roster must try to get there in spite of him. The senior has thrown three picks and lost a fumble — a game-altering turnover in the red zone during a 21-16 loss to Auburn. The Huskies dive into Pac-12 action in Week 3, and the only remaining nonconference clash is a Sep. 29 clash with BYU. 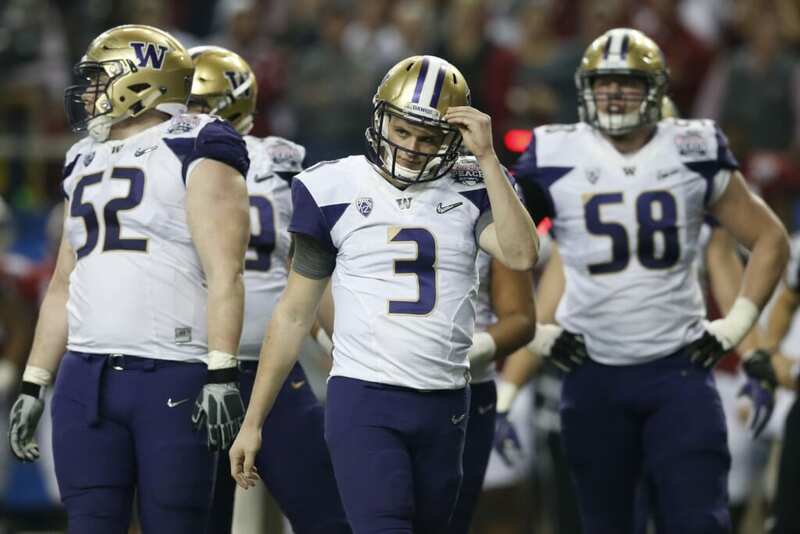 Browning’s performance must improve, or Washington will be watching the CFP from home. All offseason, the college football world praised Clemson’s elite defense. The unit has enjoyed a tremendous start against the run, allowing 2.2 yards per carry in both contests so far. However, on the road at Texas A&M, the Tigers surrendered a jaw-dropping 430 passing yards and three touchdowns in a 28-26 win. Prior to that day, Kellen Mond’s career-high mark opposite a power-conference team was 237 yards. Clemson takes on triple-option attacks in Weeks 3 and 4, so the secondary has time to learn and improve. But the Tigers cannot afford that type of letdown again. None of the highest-profile signal-callers are hurt, but injuries are already altering conference races. In addition to Speight, Duke’s Daniel Jones has a broken collarbone, and San Diego State’s Christian Chapman is sidelined with a knee injury. So too is Iowa State’s Kyle Kempt, and Adrian Martinez exited his Nebraska debut due to a leg issue. USC’s JT Daniels left the showdown with Stanford because of a hand injury. Those are all programs that, when healthy, could spring an upset and shake up their respective league. Instead, it’s difficult to see them causing much chaos.